At the Middle Brighton Veterinary Centre we pride ourselves in offering you and your cat peace of mind when you are away with our in–clinic Cattery. Our team of Veterinarians, Nurses & Cattery attendants are dedicated to the health and welfare of your cat and we aim to keep your cat safe, happy and in good health whilst you are away. We are cat owners ourselves, so we understand the concern you have about leaving your cat. You can be sure that your special pet will always receive the best care and attention when they stay with us. 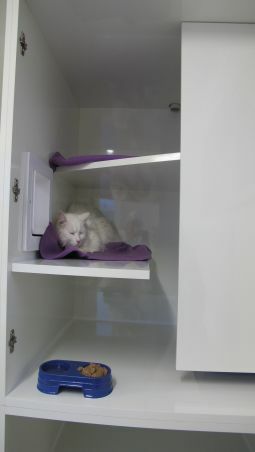 Each cat is housed in an individual suite, purposely designed for maximum privacy and comfort with interconnecting cat flaps for multiple cats from the one household or those that may like more space. All cats are offered individual daily exercise periods to stretch their legs during their stay. A four night deposit is required for Easter & Christmas/New Year period. Payable 4 weeks prior to stay. No refund of deposits if a cancellation is made less than 7 days prior to Eater & Christmas New Year periods. Your cat will be checked in by a staff member – please allow 10 minutes to process the necessary paperwork. Please phone ahead to reduce waiting time at collection, that way we can have your cat & any belongings ready & waiting for you at Reception. All cats admitted to the MBVC Cattery must have a current F3 Vaccination, that has been administered at least 2 weeks prior to boarding. On admission a current Vaccination Certificate is required for cats vaccinated elsewhere. Cats that are found to have adult fleas or flea dirt whilst boarding with us will be treated both oral and topical flea control and will also be given a worming tablet. 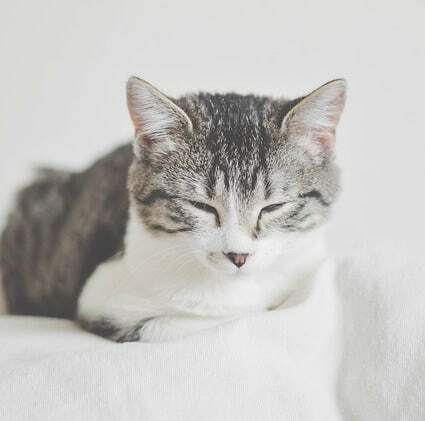 If the unforeseen happens and your cat becomes ill whilst you are away, there is the peace of mind that our Vets, will examine your cat and, if necessary commence treatment or admit to our Hospital for ongoing medical care. Your cat’s health and well being are our concern so we feed Hills wet and dry food in our cattery. If your cat has special dietary requirements please ensure that you provide ample quantity for the duration of their stay. To book your cat’s place in our cattey or if you would like to organise a visit, please call us on 9592 9811 or email enquiries@middlebrightonvet.com.au & we look forward to looking after your purry friend soon!